We all need to make a retreat. To find a few moments in our busy lives to try to stop worrying and fretting about so many different things, and to sit in silence at God’s feet and just to listen. A retreat is simply an attempt to see beyond the 101 cares and occupations we normally have and to ask ourselves, ‘Where it is all leading? 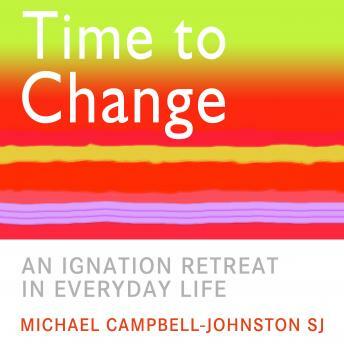 What’s the purpose of it all?’ Time to Change takes the basic format and principles of The Spiritual Exercises of St Ignatius and allows us to make a retreat without interrupting too much your ordinary daily life and all the things you have to do.